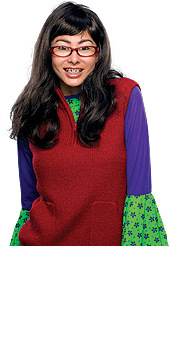 Remember Ugly Betty? She wasn?t really ugly, just a bit fashion-tragic, but your can recreate her look with this I am Beautiful costume kit. *Slip on braces for your teeth.